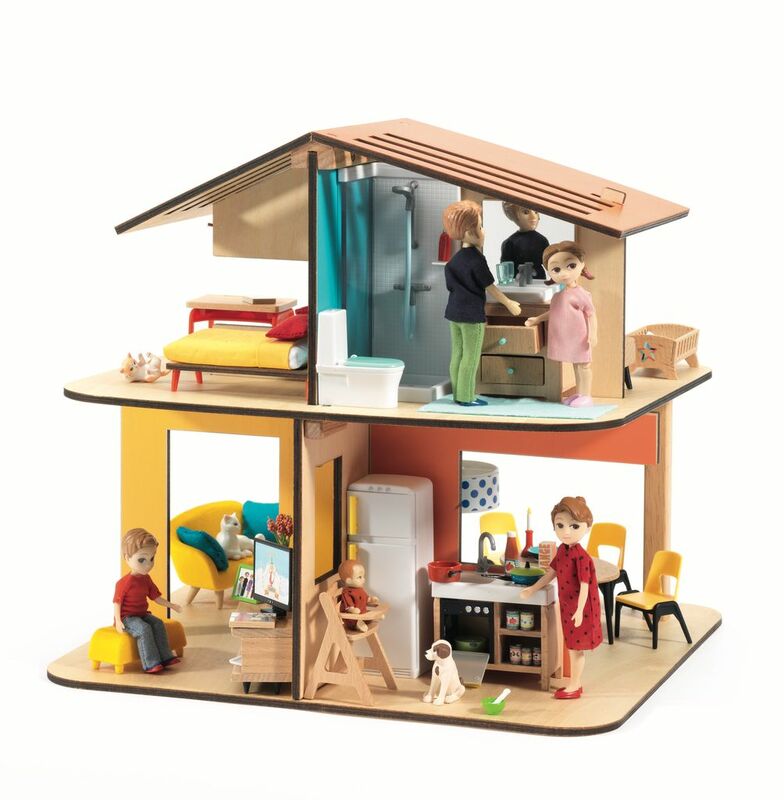 Doll's House - Modern House. 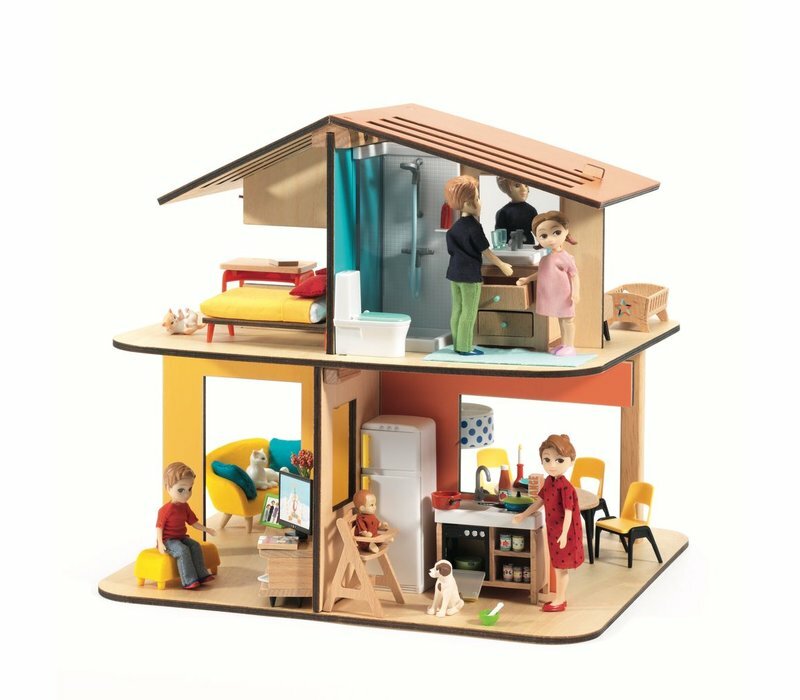 Inspired by modern architecture, this fun colourful house will keep little hands busy for longer. Part of the Djeco Petit Home range of doll houses, furniture and dolls. Furniture and dolls sold seperately. 31 x 32 x 33cm. Suitable for ages 4+ years.